Mahindra bikes are well known bikes in the Indian bike market. The company has launched many attractive and splendid models which are getting good response from Indian customers. The Mahindra Duro DZ is a new bike from the company which has launched in automobile market. The Mahindra Duro DZ price in India is around Rs 47, 000. The Mahindra Duro DZ features include better engine and nice looks and design. The look of the bike is as usual very gentle and the economy of the bike is very nice. There are various other kinds of features such as the suspension and the braking system. The fuel tank and the seats are so arranged that the model will provide maximum comfort to the riders. Good seats are also provided in the scooter. The halogen headlights and the tail lights are the major attraction. The Mahindra Duro DZ will be available in good colors and design. The dimensions of the model is 1814 x 770 x 1275mm along with 114 kg of weight. The wheelbase of the Mahindra Duro DZ is 1270 along with 155 mm ground clearance. The Mahindra Duro DZ specifications reveal that the engine of the model is of 124.6cc displacement which generated better 8 Bhp at the rate of 7500 rpm maximum power and torque power of 9Nm at the rate of 5500 rpm. The model is enabled with 4 stroke and air cooling engine. 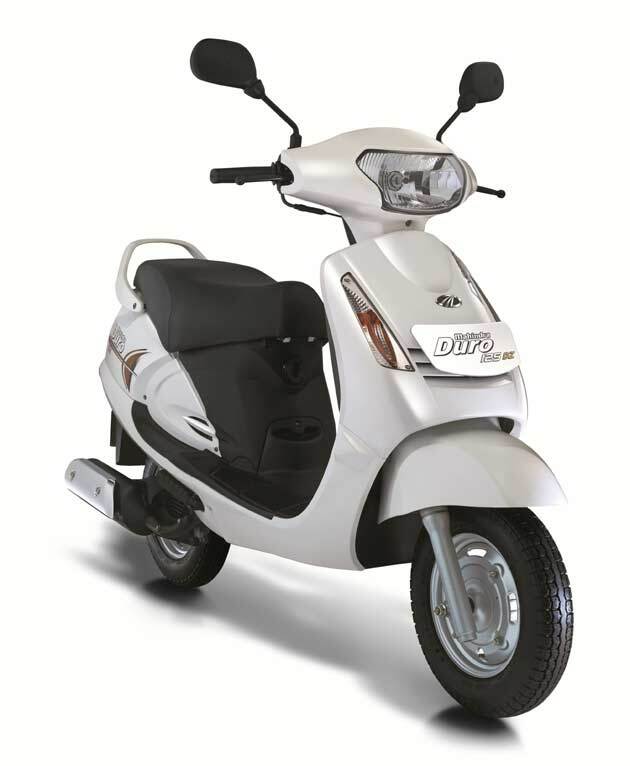 The scooter is provided with good alloy wheels and which provides better grip on the roads. The model is also equipped with good 130 mm front and rear braking system which ensures better safety of the riders. The Mahindra Duro DZ also provides better mileage on the Indian roads. Automatic gear box is well enabled in the scooter.